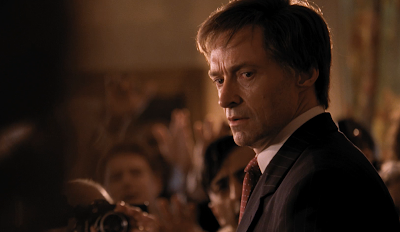 There's irony in the timing of Jason Reitman's film The Front Runner on the former Presidential candidate, Gary Hart. Before Hart became the frontrunner in the Democratic frontrunner for the 1988 Presidential election, the media was willing to turn a blind eye to infidelity, as they had done ever since the days of John F. Kennedy. The Presidency of Bill Clinton brought the Monica Lewinsky affair, which saw the press play a huge role in shaping public opinion against him, ultimately leading to an impeachment hearing. Nowadays, in the age of Trump, we no longer care that a President has multiple extramarital affairs. The press is dogged in the outing of these indiscretions but the public no longer seems to care. How did we get here? It's fair to say that it all began with Hart, who saw his meteoric political ambitions crash back down to Earth in the span of days after an affair with Donna Rice was exposed. This came after Hart, who believed the old ways of covering scandal were still in place, challenged the press to follow him around to see how boring his life was. Well, it wasn't that boring. I had a chance to talk with writer/director Jason Reitman about the timeliness of The Front Runner, joined by co-writers Jay Carson and Matt Bai, the latter having penned the source novel "All the Truth is Out: The Week Politics Went Tabloid." We talked about the casting of Hugh Jackman as Hart, their attempts to capture the real feeling inside a political campaign, and more. Check out the interview below, and find my review of the film here!